Nehemiah, the young son of a Jewish woman, a weaver from Jerusalem, is born and raised among the Jews who didn’t return to Jerusalem from the Exile. Educated by Rabbi Kagba, one of the magi present at Jesus’ birth thirty years earlier, Nehemiah grows up with the expectation of a soon-coming Messiah. Could the Yeshua of Nazareth, who is walking the earth, reportedly doing miracles, be that Messiah? When young Nehemiah must travel the long caravan road to Jerusalem, he is charged with an unusual mission---to carry a mysterious object back to the Holy City of Jerusalem . . . an object whose reappearance heralds the Messiah’s arrival. Nehemiah arrives in Jerusalem just as the final events of Jesus’ earthly ministry are coming to a climax: the Feast of Dedication, the Triumphal Entry, the last cleansing of the Temple, and culminating at the Last Supper in the Upper Room. Only Nehemiah understands the true sacrifice that is to come as he makes the cup worthy of his Savior. BODIE AND BROCK THOENE (pronounced Tay-nee) have written over 65 works of historical fiction. Over thirty-five million of these best-selling novels are in print. Eight ECPA Gold Medallion Awards affirms what millions of readers have already discovered—the Thoenes are not only master stylists but experts at capturing readers’ minds and hearts. Bodie began her writing career as a teen journalist for her local newspaper. Eventually her byline appeared in prestigious periodicals such as U.S. News and World Report, The American West, and The Saturday Evening Post. She also worked for John Wayne’s Batjac Productions (she’s best known as author of The Fall Guy) and ABC Circle Films as a writer and researcher. John Wayne described her as “a writer with talent that captures the people and the times.” She has degrees in journalism and communications. 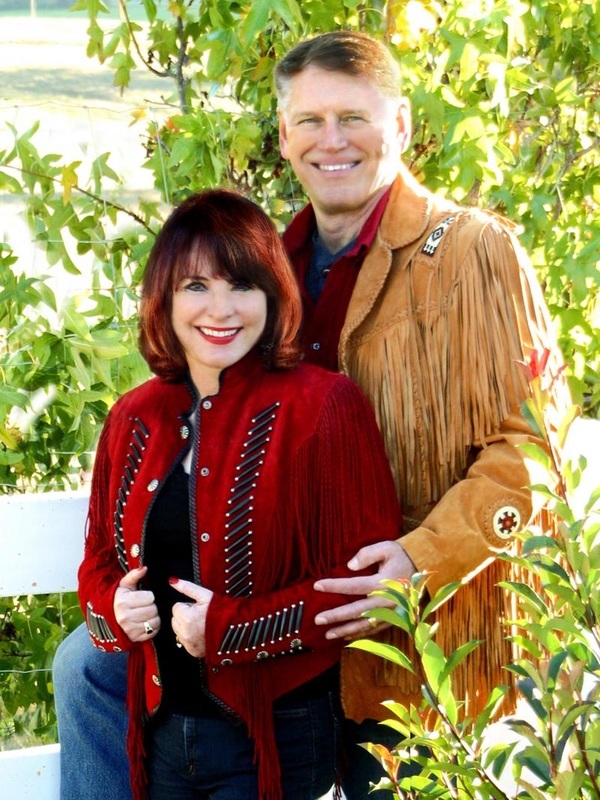 Bodie and Brock have four grown children—Rachel, Jake, Luke, and Ellie—and eight grandchildren. Their sons, Jake and Luke, are carrying on the Thoene family talent as the next generation of writers, and Luke produces the Thoene audiobooks. Have you ever had the desire to know what life was like during the time when Jesus lived? I have often wondered what it must have been like to actually see Jesus and the people around Him. Bodie and Brock Thoene must also have wondered and have used their not inconsiderable research and imaginations to paint a vivid, visual picture in their new book Take This Cup. 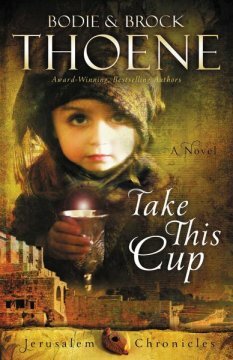 Take This Cup is the second book in their new series, Jerusalem Chronicles. The story opens with a glimpse of life at the Sheep Camp on the ancient site of the Garden of Eden. Nehemiah, the son of shepherds, enjoys his life as the youngest in the family until the day the camp is attacked by bandits. Nehi and the camp’s rabbi flee, but Nehi’s parents and brothers are left behind. This begins his journey to Jerusalem, many miles and worlds away from the Sheep Camp where Nehi has lived all his life. Nehi has had several visions, but he does not know what they mean, or how they relate to him. Then he stumbles down a ravine and finds an old tarnished goblet; the visions that follow keep him moving straight to Jerusalem. Why it is he who found the cup and how he is to fulfill his destiny is the beginning of his fantastic journey. With the help of the wild hart who seems to know where he is to go, and the remembrance of his heritage and the training of his father, Nehi makes his way to Jerusalem to find and see Jesus. I really enjoyed the visual descriptions of life in these difficult times and the guidance that Nehi received from the Old Testament stories retold in a very easy to understand way. I strongly recommend this newest series by the Thoenes: Jerusalem Chronicles, especially Take This Cup. Read and enjoy!